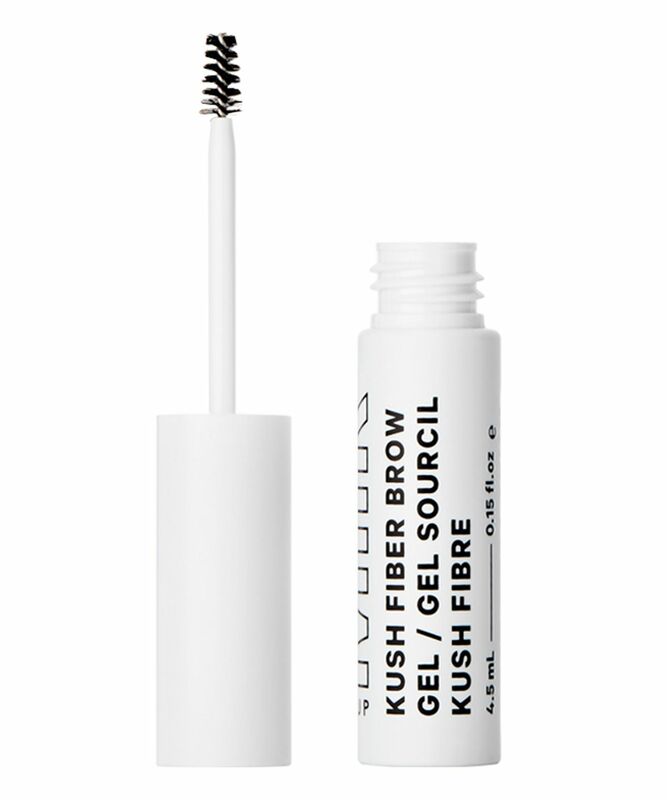 Following on from the success of the KUSH High Volume Mascara, a cannabis-infused product that won the hearts of many a beauty buff, Milk Makeup’s KUSH Clear Brow Gel lives up to its predecessor’s high and mighty (geddit?) credentials. The ultra-hydrating cannabis oil sets arches in place without leaving them stiff or flaky. Suitable for all brow colours, the transparent formula tames and locks brows in place for day-to-night hold, while a tapered brush grooms your hairs to perfection. Now that NYC-born Milk Makeup’s to-die-for products have now crossed The Pond and are exclusively available at Cult Beauty to those within the UK and Ireland, our hearts have been captured by the brand’s naturally lit KUSH formulas. On the hunt for a binding component that was 100% vegan, the brand waved aside the commonly used beeswax in favour of hemp-derived cannabis oil. The vegan hero ingredient hydrates and sets brow hairs without flaking or feeling stiff. If the thought of CBD oil has you raising your expertly defined arches, no need to worry. This is totally safe and won’t get you… well, high. Adding to the gel’s hydrating properties are aloe and cucumber extracts, which soften and condition hairs for healthier-looking brows. The tapered brush evenly distributes the product across all of your brow hairs, while simultaneously brushing them into shape. Long-wearing and flexible, the vegan, cruelty-free and paraben-free gel holds throughout the day without cracking or drying out your skin. Swipe the brush through your brows in the direction of hair growth. Use alone to shape your natural brows or layer the gel over a pencil to set. I was looking for a low maintenance product that didn’t draw too much attention to my brows but helped achieve that bushy, natural look. The consistency of this is PERFECT - sets them in place all day but never feels crispy. And for me a clear option is ideal as my brows are already darker than my bleached hair so this helps to shape without making them look too heavy. I never thought I would be this excited about a brow product but honestly this is amazing and a staple in my daily routine now. I’m so happy I snapped this product before it sold out. I knew it would be a popular product. I’ve seen a lot of celebrity makeup artist use this, so I decided to give it a go. I have been loyal to my Glossier Boy Brow for a long time now and didn’t think I could be swayed. I Thought this would be a creamy white consistency like the boy brow, but it wasn’t. I was afraid it’d be the same as the ABH brow gel (which I didn’t like). Actually since trying this product out, I can say I am completely in love with it. It is so much better than all the other brow gels I have tried in the past (and I have tried a lot as I have very thick bushy brows). It actually makes my brows stick and they stay in place. The brush size is Perfect. You need a size like that so that you can get a more precise application. I’d highly recommend this product to everyone when it comes back in stock. I will also be buying more to stock up.